Pay any tax that is due. This entry was posted in Efile 7004, Efile Extension, Extension Tax, Form 7004, Online Extension and tagged Easy Extension, Efile 7004, efile extension tax forms, efiling, efiling Corporate Tax Extension, express extension, extension form, Form 7004, need time to file tax, Tax Extension, Tax Return Preparers on February 28, 2017 by TaxExpert. May 15th is right around the corner and it means that Charities and Non-Profit (Exempt) organizations are now busy preparing their tax returns. Unlike businesses and individuals, the tax deadline for these types of organizations is May 15th (if their tax year is a calendar year). If an exempt organization does not have enough time to prepare their tax return, the IRS will allow an additional 3 months to file the return if a Form 8868 is filed by the deadline. An IRS Form 8868 is an application for 3 Month extension of time to file a tax return for a Non-Profit Organization. 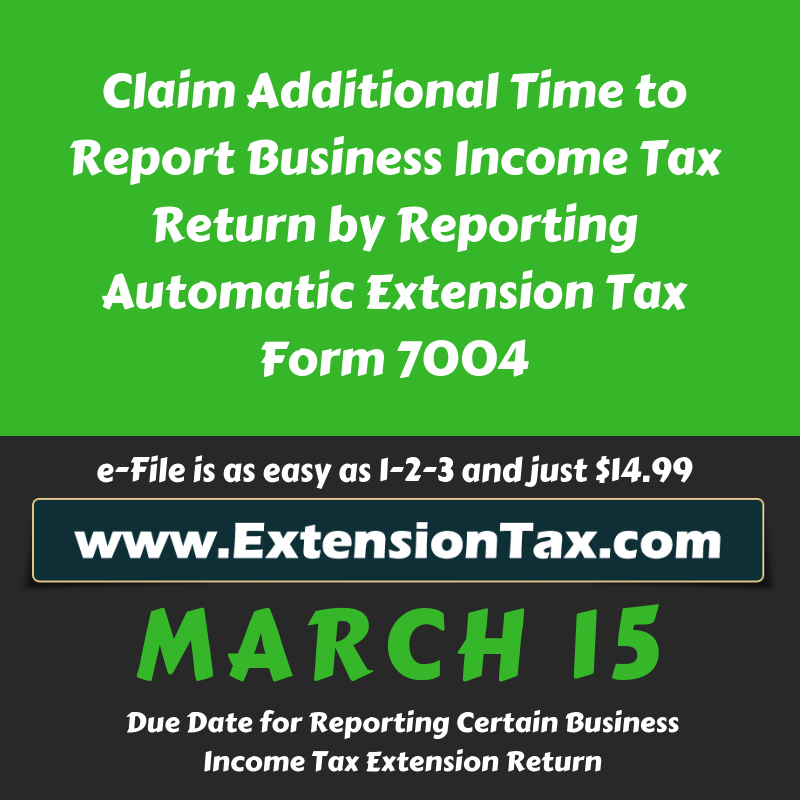 This form can be filed electronically throughExtensiontax.com an IRS Approved E-File Provider. This is the fastest and safest way to file for a tax extension. E-Filing form 8868 takes only few minutes and within minutes from filing, the IRS will accept the form. Once the form is accepted, the filer will receive an email from Extensiontax.com.When paper filing this form there is no letter of acceptance, but it is nearly instant when e-Filing. NOTE : A tax extension does not extend the amount of time to pay the tax. It extends the amount of time to file the official tax return. Any taxes due will still be due on thetraditional deadline or else there will be additional penalties and interest. E-Filing form 8868 through Extensiontax.com is the easiest way of filing it. The application is very simple. Instead of filling out a complicated tax form, there are just a series of easy to answer questions. Extensiontax.com has simplified all the confusing tax jargon’s and created an incredibly simple application to E-File form 8868 with the IRS. www.ExtensionTax.com is committed to provide the Best in Quality and Service for all our users, www.ExtensionTax.com / www.TaxExcise.com is a certified, IRS authorized, e-file service provider for Form 2290, Form8849, Form720 & Extensions for Form4868, Form8868 and Form7004. www.ExtensionTax.com / www.TaxExcise.com are products of Think Trade Inc. We are a BBB accredited company with A+ certification.For any questions you may have regarding Excise Tax Filings please reach us at 1-866-245-3918 or simply write to us at support@extensiontax.com / support@taxexcise.com. This entry was posted in efile extension form, efile form 8868, efile income tax extension, efiling, efiling Easy Extension, exempt Organisation, Fast and easy return, file extension online, Form 8868, Form 990, IRS Extension, IRS Updates, IRS Videos, NEW PTIN, Online Extension, PTIN and tagged Efile 7004, Efile an Extension tax, Efile Extension, efile extension form, efile form 8868, efile income tax extension, efiling, efiling Corporate Tax Extension, efiling Easy Extension, efiling Efile 4868, exempt Organisation, extension form on May 10, 2012 by TaxExpert. Tax Deadline Extended To April 17 2012. The deadline to file personal tax returns with the IRS for the 2012 Tax Season has been extended to Tuesday, April 17, 2012. The traditional deadline of April 15 falls on a Sunday this year. Since April 15th falls on a weekend, the official deadline had to be changed. It could not be the following Monday (April 16) either due to the fact that April 16th is Emancipation Day. Emancipation Day is considered to be a holiday for the District of Columbia, and Federal Law declares that agencies such as the IRS must observe such holidays of the District of Columbia. This will be the second year in a row in which the deadline for most tax returns will not be on the traditional deadline of April 15. Tax returns were also later last year due to the Emancipation Day holiday.The same deadline applies to anyone filing a Personal Tax Extension as well as a normal tax return. If a Tax Extension is applied for, this does notpostpone the tax payment. It only extends the time in which to file the tax return itself with the IRS. Any taxes due must still be paid by April 17 deadline, but with a tax extension, the completed return does not need to be filed until October 15. 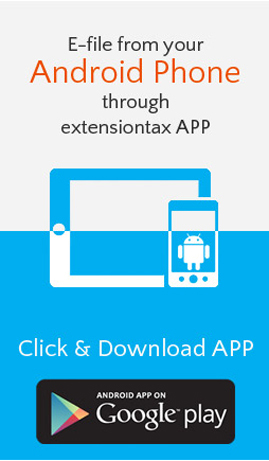 This 6 month extensionallows tax preparers and others to get the most out of any credits and refunds.One of the easiest ways to apply for a tax extension is through www.Extensiontax.com The Fast and Easy-To-use System makes tax extensions simple and easy. The entire process takes only a few minutes to complete. One of the greatest things about filing with Extensiontax.com is our dedication towards quality customer support. If you have any questions about the filing process or would like a little help along the way, you can call, email or chat online with our Tax Expertsanytime. 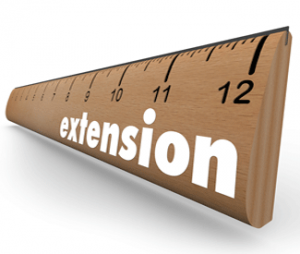 You can email the us at support@extensiontax.com or chat with us online from the website:Extensiontax.com Overall, it is hard to go wrong with an easy-to-use system, a helpful team along the way, and affordable pricing options. www.ExtensionTax.com is committed to provide the Best in Quality and Service for all our users, www.ExtensionTax.com /www.TaxExcise.com is a certified, IRS authorized, e-file service provider for Form 2290, Form8849, Form720 & Extensions for Form4868, Form8868 and Form7004. This entry was posted in Efile an Extension tax, Efile Extension, efile extension form, efile income tax extension, efiling, efiling Efile 4868, Extension form, Extensiontax, Fast and easy return, file extension online, Form 4868, Form 4868 efile, Get instant Extension, Instant Approval, IRS Extension, IRS Updates, IRS Videos, Online Extension, Tax Extension, Tax Return Preparers and tagged Efile 7004, Efile an Extension tax, Efile Extension, efile extension form, efile form 8868, efile income tax extension, efiling, efiling Corporate Tax Extension, efiling Easy Extension, efiling Efile 4868, exempt Organisation, extension form, Extension Tax, Extensiontax, Fast and easy return, file extension online Efile 7004, file extension online Efile an Extension tax, file extension online Efile Extension, file extension online efile extension form, file extension online efile form 8868, file extension online efile income tax extension, Form 4868, Form 4868 efile, Form 7004, Form 8868, Form 990, Form 990-T, Get instant Extension, Instant Approval, IRS Extension, IRS Updates, IRS Videos, NEW PTIN, Online Extension, PTIN, Tax Extension, Tax Return Preparers on March 20, 2012 by TaxExpert. IRS Terms That You Need To Know When You File For An Extension! 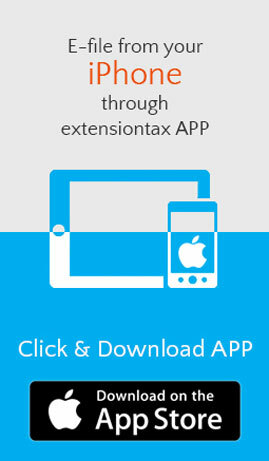 Filing a Tax Extension is very simple when you use Extensiontax.com. All that is required to file it is basic information about your business. There are few terms that one needs to know before submitting a Tax Extension for a Business, Individual, or Nonprofit Organization. IRS Form 7004: This form is used by businesses such as Multi-Member LLCs, C Corporations, S Corporations, Partnerships, Trusts, and Estates. This is commonly referred to as a form forBusiness Tax Extensions. This IRS Form gives aTax Extension of 5 – 6 months. IRS Form 4868: This form is used for filing Individual or Personal Tax Extensions. This IRS form gives a Tax Extension of 6 months for personal returns, 1099 Contractors, Sole Proprietorship’s, and Single-Member LLCs. IRS Form 8868: This form is used by Non-Profit and Exempt Organizations.This IRS form is used to apply for an automatic 3 month tax extension or a non-automatic (additional) 3 month extension. Tax Extensions: Filing for a Extension with the IRS extends the amount of time to file a Tax Return. It does not extend the amount of time to pay taxes. The IRS wants the taxes to be paid by the traditional filing deadlines. Filing Status: If you are filing for an individual tax extension, it is required to list your filing status (married filing jointly, single, married filing separately, etc. ).The same way if you are filing an Extension for a business or nonprofit organization, it is required to list your business or organization’s type and the specific tax form that will be filed. Business Tax Year: It is common to use the calendar year as the business tax year but that is not the case for every Business.If a business follows a different tax period, that needs to be specified. Also if a business was started or ended during the year, its tax period may be shorter than a full year and that needs to be specified too. Estimated Tax Amount: A Tax Extension extends only the amount of time to file a tax return. It does not extend the amount of time to pay taxes. Therefore, you need to pay the full Tax amount that is due to the IRS by the traditional deadline. This entry was posted in Efile 7004, Efile an Extension tax, Efile Extension, efile extension form, efile form 8868, efile income tax extension, efiling, efiling Corporate Tax Extension, efiling Easy Extension, efiling Efile 4868, exempt Organisation, Extension form, Extension Tax, Extensiontax, Fast and easy return, file extension online, Form 4868, Form 4868 efile, Form 7004, Form 8868, Form 990, Form 990-T, Get instant Extension, Instant Approval, IRS Extension, IRS Updates, IRS Videos, Online Extension, Tax Extension, Tax Return Preparers and tagged Efile 7004, Efile an Extension tax, Efile Extension, efile extension form, efile form 8868, efile income tax extension, efiling, efiling Corporate Tax Extension, efiling Easy Extension, efiling Efile 4868, exempt Organisation, extension form, Extension Tax, Extensiontax, Fast and easy return, file extension online Efile 7004, file extension online Efile an Extension tax, file extension online Efile Extension, file extension online efile extension form, file extension online efile form 8868, file extension online efile income tax extension, Form 4868, Form 4868 efile on March 1, 2012 by TaxExpert.